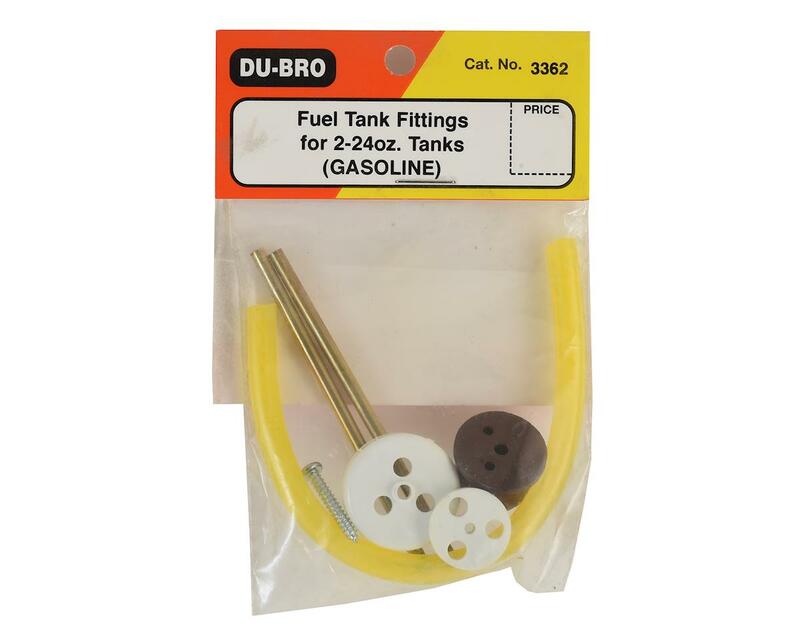 This is the DuBro Replace Fuel Tank Cap & Fitting Set, compatible with 2-24 ounce tanks. Completely re-build your DU-BRO fuel tank with original DU-BRO components to insure a long, leak-proof life. Each kit includes the appropriate parts for either gasoline or glo-fuel applications. 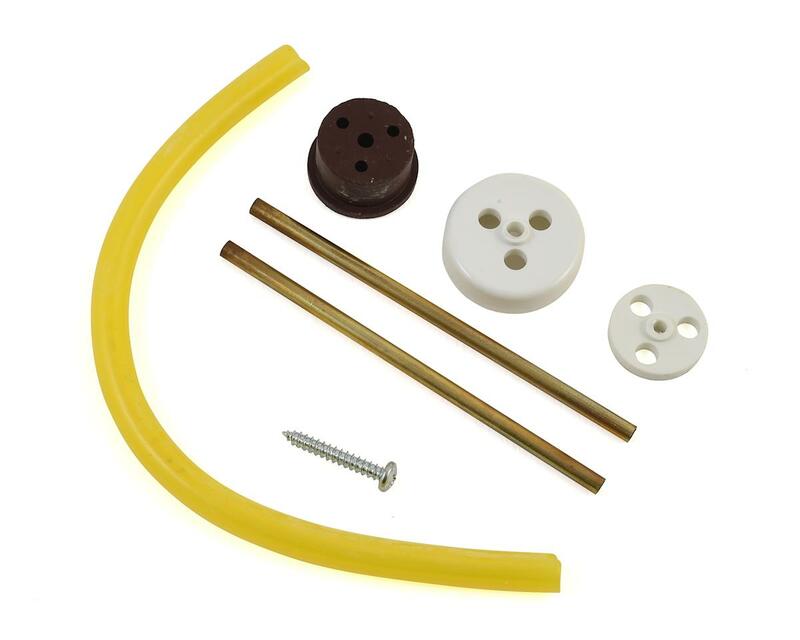 Includes: Cap, backing plate and screw, stopper, brass tubing and pick-up tubing.